The computer scientist who wrote the blueprint for what would become the World Wide Web 28 years ago today is alarmed at what has happened to it in the past year. “Over the past 12 months, I’ve become increasingly worried about three new trends, which I believe we must tackle in order for the web to fulfill its true potential as a tool which serves all of humanity,” he said in a statement issued from London. He cited compromised personal data; fake news that he says has “spread like wildfire”; and the lack of regulation in political advertising, which he says threatens democracy. 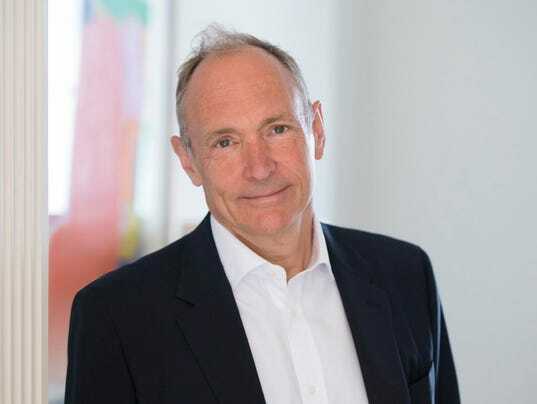 Berners-Lee, 61, who was knighted, founded Web Foundation in 2009 to improve the web as part of a five-year plan. When Berners-Lee submitted his original proposal for the Web, he imagined it as an open platform that would allow everyone, everywhere to share information, access opportunities and collaborate across geographic and cultural boundaries. But his faith, and those of privacy advocates and cybersecurity experts, has been badly shaken by a series of high-profile hacks and the dissemination of fake news through the use of data science and armies of bots. Front and center: The WikiLeaks bombshell. The treasure trove of more than 8,000 pages reads like a John Le Carre spy novel overrun with Edward Snowden-like protagonists. The CIA, with sophisticated hacking tools, has been angling to turn popular consumer devices such as iPhones, Samsung TVs and Android smartphones into surveillance devices, the documents indicate. Imagine that Big Brother scenario extended to the millions of smart devices such as digital thermostats and fire alarms feeding the Internet of Things ecosystem, and you have a problem that could eviscerate the privacy of billions of people, say security experts. Berners-Lee is just the latest high-profile technologist to share concerns over what former Cisco Systems executive Monique Morrow calls a fundamental assault on privacy and cybersecurity, with critical infrastructure — banking systems, the grid — hanging in the balance. “How do we use technology responsibly?” she asked at a SXSW talk in Austin Saturday. The scourge of fake news, a topic of several panels here, has prompted plenty of tech types to brainstorm on solutions. One idea is to apply a simple rating system to stories based on their news value and accuracy, says Amar Lalvani, CEO of hotel chain Standard International. “We could apply the same model to stories as we do to travel sites,” he said here Sunday. Proliferation of cyberweapons pose a significantly greater threat — especially smartphones in the hands of unwitting consumers, and eavesdropping TVs in their living rooms — because they spread at a faster rate than physical weapons, says Phil Reitinger, CEO of the Global Cyber Alliance and a former director of the National Cybersecurity Center. “It’s already happening,” says Sean Smith, a professor of computer science at Dartmouth College and author of The Internet of Risky Things. He says many of the same security vulnerabilities exploited in phones, TVs and computers outlined by WikiLeaks apply to IoT devices. “If the CIA is working on breaking into phones like other hackers, you can bet it’s working on other devices, just like hackers,” Smith says, pointing to malware that was wormed its way into some medical devices at major healthcare providers across the globe. The security breach put tens of thousands of patient records at risk, says TrapX Security. The same flaws can apply to cars, as proved by a Wired report on how hackers remotely hijacked a Jeep Cherokee’s digital system over the Internet and disabled its brakes at low speeds in 2015, Smith says.